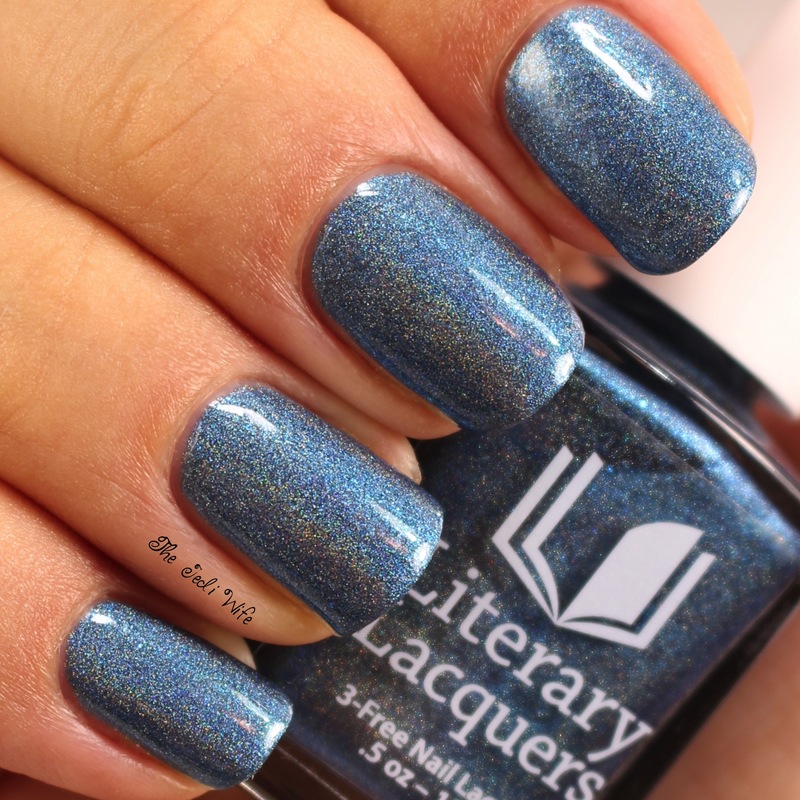 As many of you already know, there are Facebook groups geared towards specific nail polish brands, and one of the groups I love is Literary (&) Lacquers. While I don't always have the time to participate, we do have a book club complete with discussion. 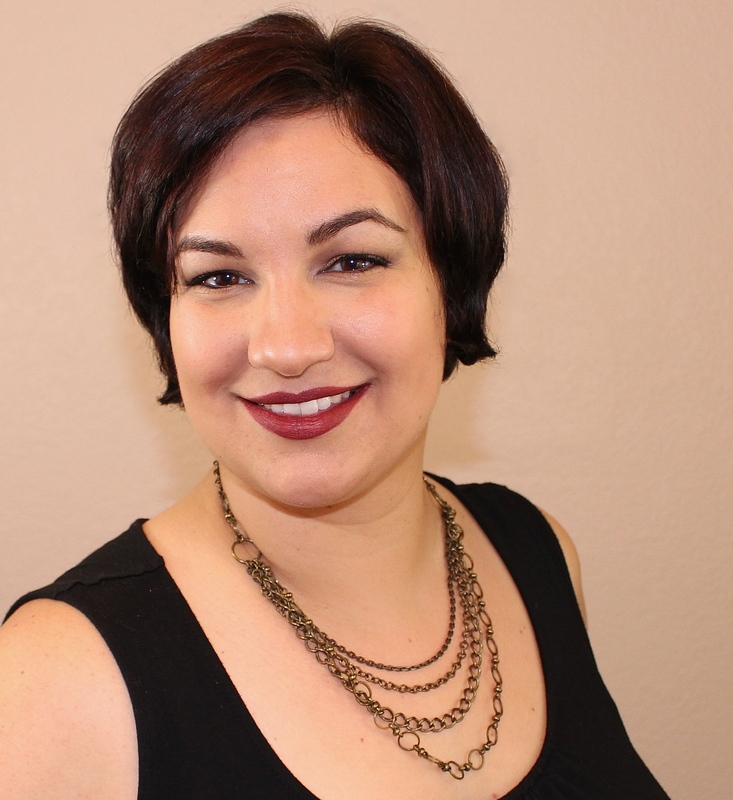 At the end of each book discussion, members submit an inspiration photo and a polish design that is inspired by each book, and Amy of Literary Lacquers creates the polish. The custom is then available for purchase to members of the group, regardless of whether or not you've been able to participate in the current book club discussion. I always look forward to seeing the designs, especially since they usually are refreshingly different from other group customs. For today's blog post, I have the two latest book club customs to share with you. Ready? Let's do this! 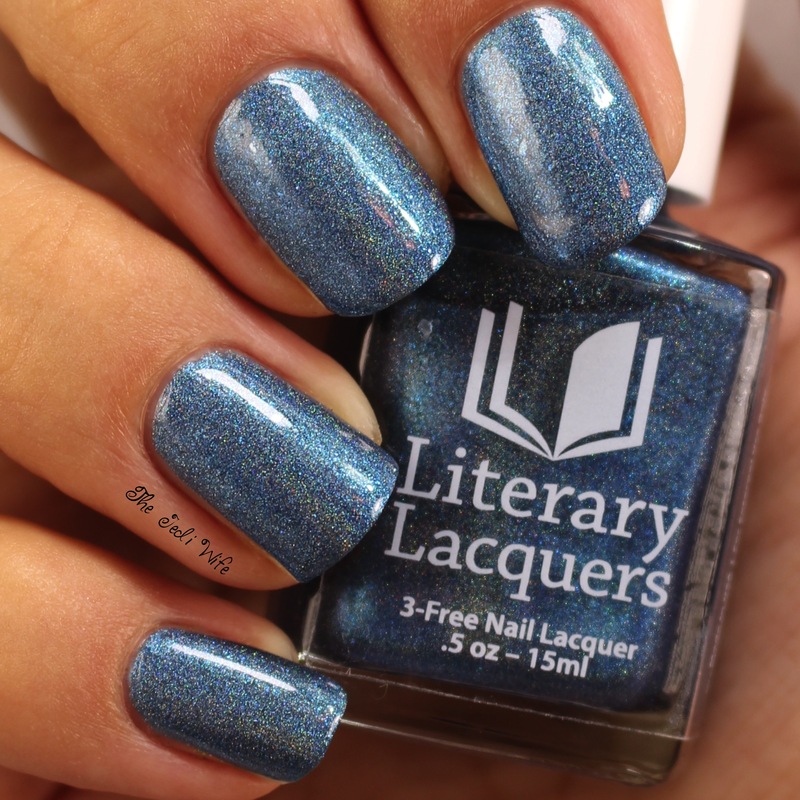 Deep blue linear holo with light blue shimmer inspired by We Were Liars by E. Lockhart and designed with Christy Eileen Brown. I've missed participating in most of the book club reads and discussions, but I am happy to say I actually got to read this book AND contribute to the discussion! Woot! I'm so flaky when it comes to books; I often don't get far before I've become bored and stop reading. 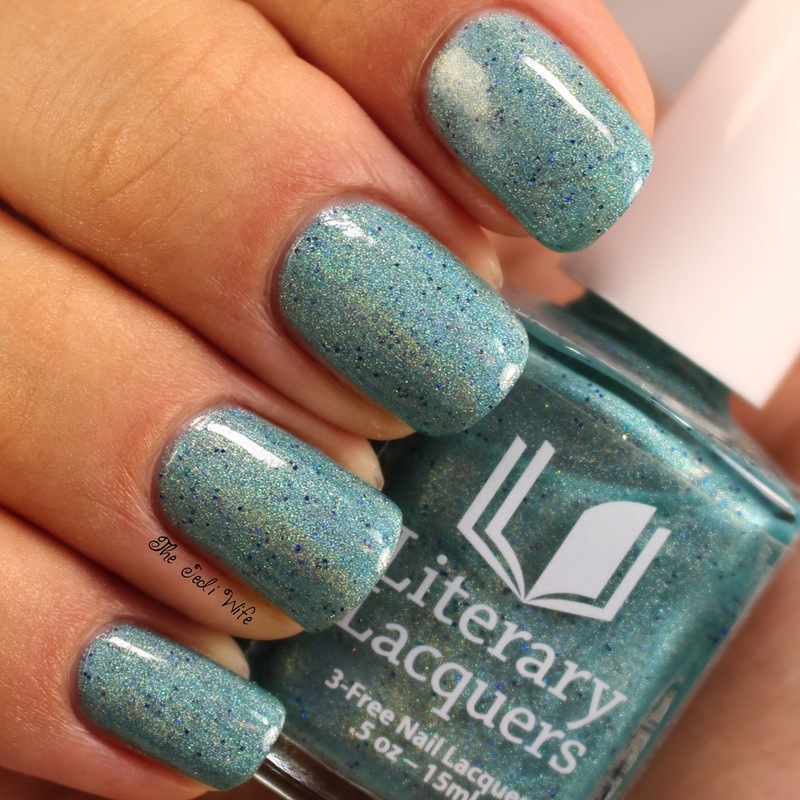 We Were Liars was a fun, albeit rather predictable, story, and I just love the inspiration polish! This shade of blue is perfect no matter what time of year. I am smitten with the flashes from the added blue shimmer! The formula was fantastic with no application issues to report. Aqua linear holo with gold flash and a smattering of deep blue microglitter inspired by Big Little Lies by Liane Moriarty and designed with Samantha Terris Parks. Be still my beating heart! I love aqua polishes, but it is the added flashes of gold and all those microglitters that really sets Oh Calamity! apart from other aqua polishes. It's definitely different, and I am crazy about this particular polish. As for the formula, I am happy to report it applies smoothly and effortlessly. These polishes are currently available for purchase from the Literary Lacquers Etsy shop located here. They will be available for a limited time only: the deadline to order is August 31st. 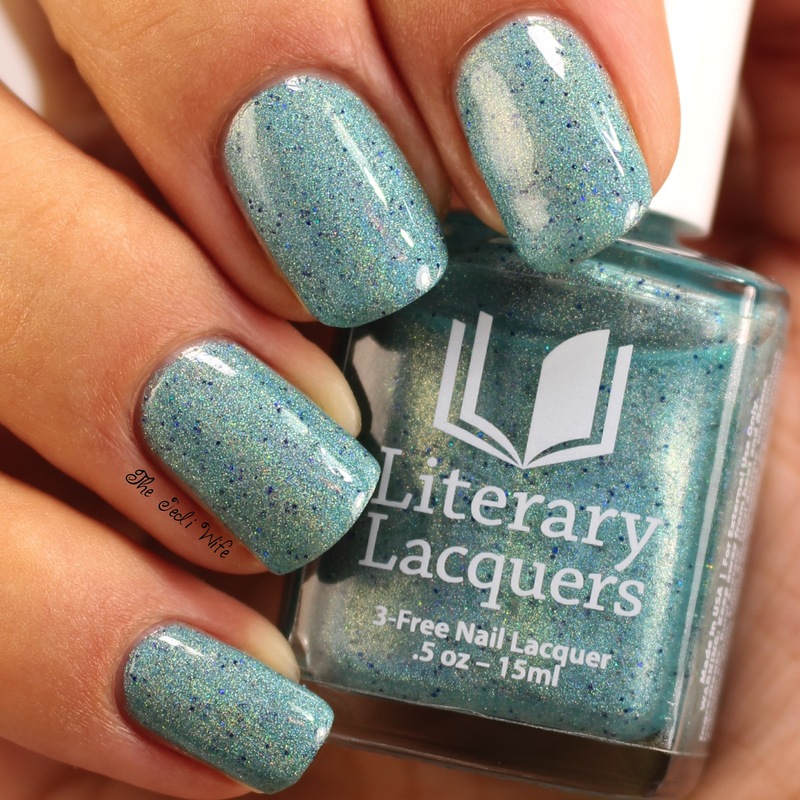 In order to purchase these polishes, you need to be a member of the Literary (&) Lacquers Facebook group. If you are not a member and would like to be, please join us here. As long as you're nice, we'd love to have you! What do you think of these shades? Do you have a favorite between these two? I'd love to hear from you! I read an epic tonne of books a year. I have no idea why I don't participate in this group. Thanks for inspiring me to seek it out. Oh calamity is stunning!!! I love holos with tiny pops of glitter. I wish I was a part of that group. It sounds like fun. I really love both of the polishes, so pretty. I think I need Oh, Calamity! Both of these are so gorgeous, but Oh Calamity! is definitely my favorite among them. I like both, buy Oh Calamity is my favorite!